Coach Heather grew up around horses. As an only child with a working single parent, she became fast friends with horses at a farm across from the apartments where she resided. Horses became her babysitter at age 7, and by age 7 1/2, her best friends. During the summer, Heather spent days at the farm watching, running, and being with horses. She galloped her Hackney pony without saddle and reins through the pasture being free and wild. The herd became her confidants, she trusted them with her heart. Throughout life, Heather has always found a way to live near horses so she can connect with her true nature. Horses have carried her through loss, change, growth, uncertainty, trauma, and joy. At age 19, she joined national renaissance festivals and traveled throughout the United States working for an artist. The experience of 6 years of alternative tent living and kismet connections made her realize that there are many ways to live and if unsatisfied with life, she could change it and the universe would support her. She saw more joy and love in the world than fear and wanted to give this awakening to people that needed assistance on their journeys. 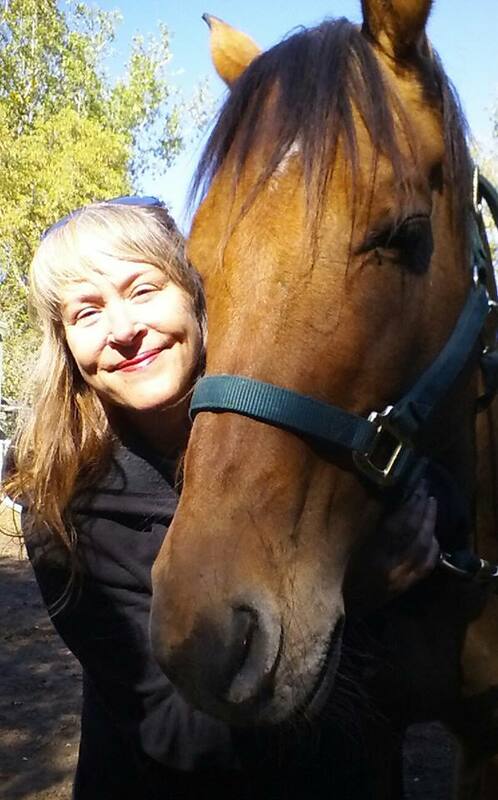 She put herself through college, began working with youth, and was gifted a horse so she could facilitate Equine Guided Visualization and Life Coaching to youth experiencing homelessness for 8 years. She then advocated for adults experiencing homelessness in St. Paul for 10 years creating relationships with landlords and building connections with the larger community and people in shelter. No matter where Heather has been both geographically and within her own growth process, she has connected with horses and they have been the center of her life’s journey. Now, Coach Heather paints horses that communicate healing, psychological process, and the recovery journey. You can view Heather’s “Recovery Horses” installment at http://www.hleighart.wordpress.com. Heather holds an A.S. degree in Human Services-Youth Work, a B.A. in Creative Healing in Human Development from Metro State University, College of Individualized Studies, is a Co-Active Life Coach from The Coaches Training Institute, and has had her poetry, photography, and paintings published. Heather enjoys painting, making music, and dreams of having her own equine/nature/arts based program that caters to children and adolescents who have lost contact with nature and creativity. Coach Heather is a mother and resides and does commission art work in St. Paul. She strives to be a transparent leader, artist, Life Coach, mother and traveler. There is no question about it, humans and animals have collaborated in the fight against loneliness and the dulls of existence since the beginning of time. Not only has man sought the company of animals, but vice versa in times of famine, ceremony, travel, and leisure. Goats are the sweetest little love bugs and if you stare into their eyes for any period of time, you see the gentleness and curiosity swimming around beneath the surface. Chickens have recently been discovered as wonderful partners in therapeutic programs and invite youngsters to see their gentle approach to life through calm and cooperation. Cows are sacred in India as the egg is in Cuba, and we haven’t even touched on dogs and horses yet. Without animals in our lives, we would be left to deal with our deep emotions on our own. Animals do not judge us when we are down. They don’t go running around the neighborhood gossiping about our shortcomings like some of our neighbors do and they certainly don’t hold grudges. They are our children and when they pass, parts of us pass with them and our lives are forever touched by them. It is for these reasons that animals make excellent therapists and friends. Animal therapy is growing. Around the globe, people are interested in horses because of their majestic and powerful beauty. I sat in the horse barns over the weekend at the state fair and observed for hours trying to gain material to write about for this blog and one thing I noticed is that no matter what time of day,(I went three separate days and times of day) people from all walks of life, all cultures and traditions were drawn to the horses. In all of the interactions that I observed, I heard only one negative remark about them (the lady must have been an alien). This just goes to show that everything that I felt and came to know as a youth by communing with horses, was living proof that I was and am onto something. My life’s work is to bring the friendship, non-judgment, trust, companionship, openness, and unconditional love that horses gave me to people that are struggling. I hope to be able to turn kids around before they go down the wrong way. I hope to help women who have suffered abuse to be able to trust again, to feel loved and supported in their healing process. I hope to teach kids how to make choices, what their choice options are, and to feel supported in their growth into becoming adults. If horses worked for me, I know they will also benefit others because we are all people and we have just as many similarities as we do differences. More research is being done every day on the subject of the human animal bond and more results are showing that the benefits are far reaching from cognitive progress to social gains. I am expanding this research across cultures and hope to find global outcomes, both in individualistic and collectivistic societies. I believe with my entire being that our chemistry, biology, spirituality, and sociality changes when we touch animals, when they touch us, and when we establish non-verbal relationships with other beings. This is the premise behind Silent Moon. To bring this gift to others that changed my own life. Part of my studies on how the brain creates new neural pathways through the horse-human bond and by creating art and music have been dedicated to studying Nature Based, Play Based, and Green Space based education. In Finland, there are more kids that graduate, have higher scores on literacy, math and science tests and over all GPA’s, less reported depression and other mental health disorders, less ADHD and other cognitive disorders, less unwanted pregnancies, and more over all reported happiness than the United States based on longitudinal and survey studies. Why? Well because they regard playing and being interactive with the environment as a core value within the culture. As a matter of fact, around the globe, in societies that are closer to nature there are less reported mental health issues compared with the US. Nature based education and communion is a growing modality in education as a vast amount of research supports the overall benefits of being in nature. Research also shows that walking in the woods for a half hour each day decreases depression, increases the release of endorphins and boosts attitude and physical health. A good website for more information on nature based education is http://www.childrenandnature.org/ and Richard Louv at http://www.richardlouv.com. In some traveling research studies this summer I observed that being in the mountains brought a certain calm to my daughter who is normally pretty hyper. Being in nature brought her some peace. It also created space for her imagination to soar when we went hiking. After she sat quietly looking at the shapes of the mountain outline and drawing what she saw, she made a map back to the car so she could show her friends when we got home how she got to her hideout, where she drew her pictures at, and the tumultuous path we hiked to get there. She was excited to narrate the story at home. This is completely opposite of the times when she watches Netflix at home where her brain shuts off and is no longer engaged. We don’t have a T.V. at home and this is why. Creativity, intelligence, foresight, integration, executive planning, limbic system engagement; all of the aforementioned are stimulated when creating relationships with nature. T.V + kids= the melting away of future thought and generations. Parents!! Take your kids outside! When watching my daughter play with the other children at camp, I noticed that they seemed more imaginative when they were not surrounded by fencing. 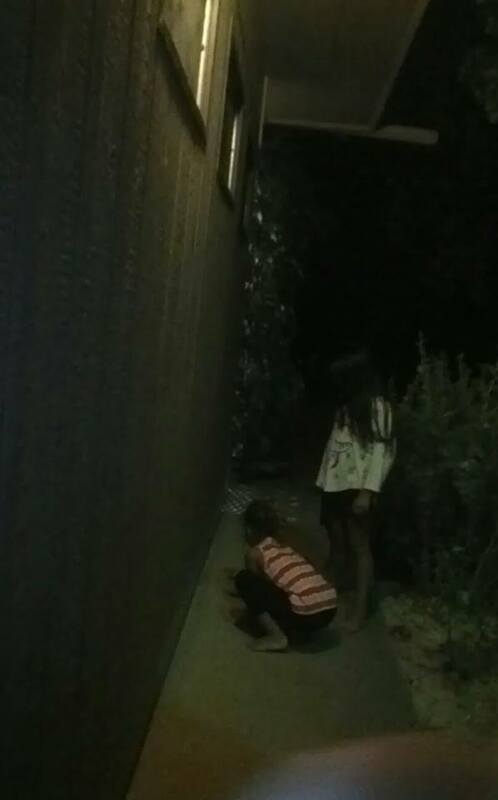 When they were within the limits of fences, they tended to be physically closer together, they ran less distance, there was more sitting, less imagination and succumbed to playing hiding and seek under the park structures. Away from fencing, they role played, invented magic potions, had plans for the future, and spoke elaborate stories behind their roles they stepped into. They ran more, had more personal space, doubled up, then rejoined with the bigger group, and laughed more. The conclusion to this observation? When in nature and allowed to explore without helicopter parenting, kids will be much more intelligent, funny, and creative than when fear holds them back from being the wonderful inventors that they so innately are. Through experiential learning in nature, humans are able to apply real solutions to real problems. They are able to move from speculating what they might do which does take imagination, but speculation doesn’t allow for trial and error and thus finding solutions. It only allows for imagination. 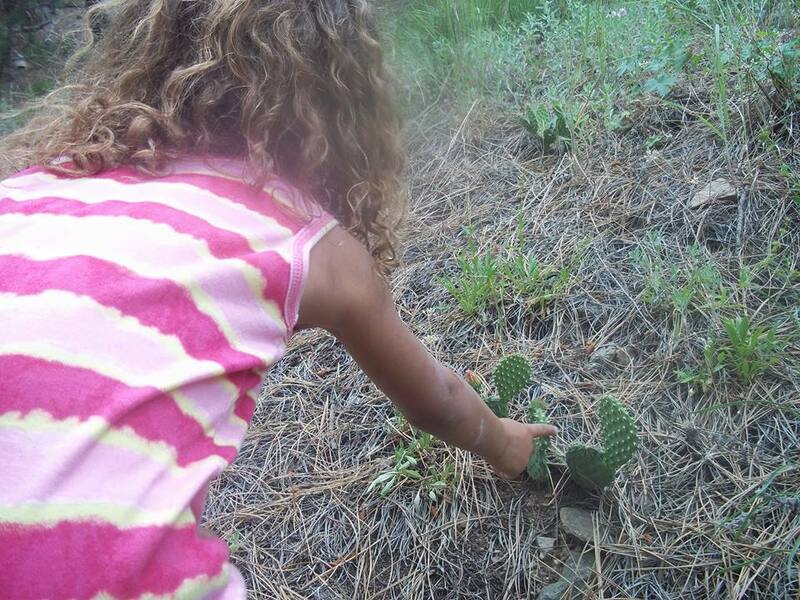 Nature based experiential learning allows for the entire experience to seep into the entire human being. Not just into the executive function of planning and reasoning in the frontal lobe, but it cements the lessons into the bones of the individual. It also allows for new passions to form and encourages environmental stewardship for future generations. If we do not inspire our future generations to love and nurture the environment, who will take care of the planet after we are gone? Who will make sure the animals are ok or there is clean water to drink? With technology today, youth are becoming obese, dull, unimaginative and lazy to be honest. Nature brings the human back into being. My lovely daugter in nature. 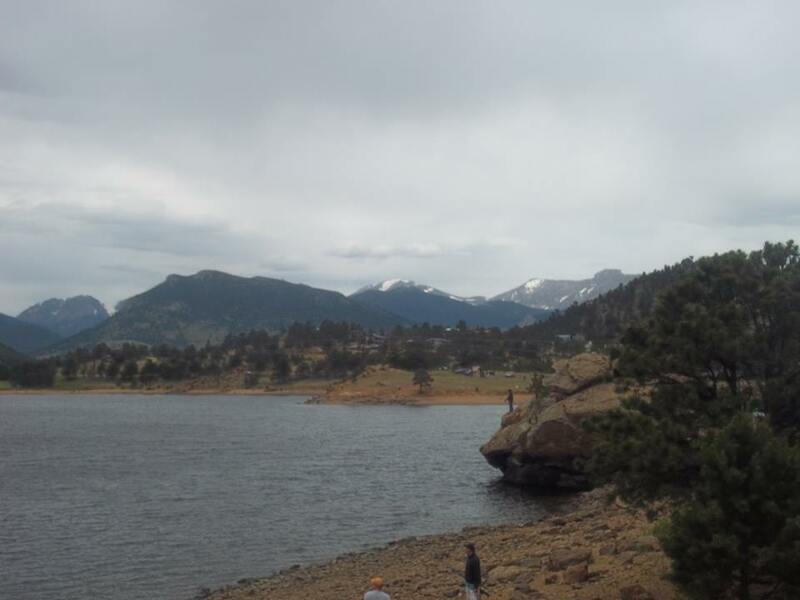 Just got back from an amazing time in Estes Park Colorado doing some field research on natures influence on child development. Had a wonderful opportunity to stop through the Black Hills on the way home, see the left over remnants of the flood in Loveland Colorado, and brushed up on our Native history in the plains of America. What I learned from this trip; to slow down and enjoy life. There is so much beauty out there and I finally have a chance to take it all in and enjoy being a mother. So much to be thankful for, and feeling so lucky.